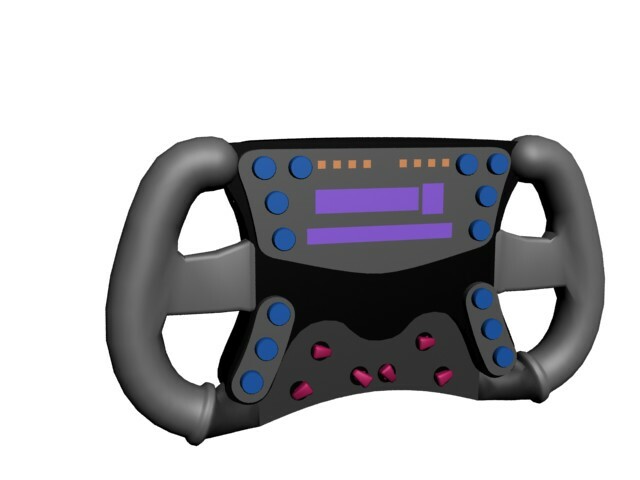 Work on the steering wheels has continued. 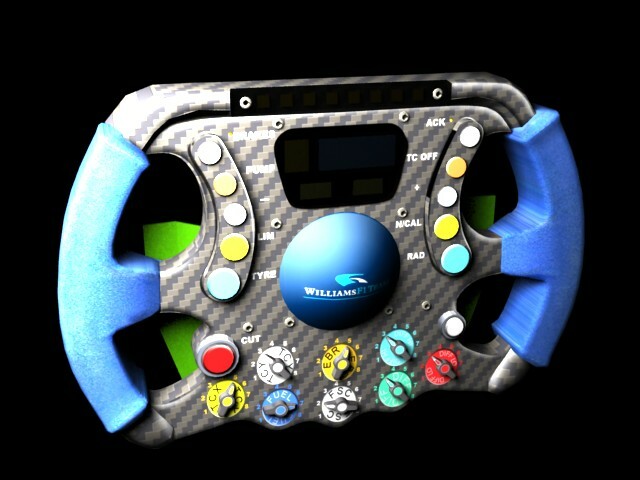 Andy has picked up the Williams-Steering wheel, fixed some mapping issues, improved the handles and finished the model. Now it’ll be painted. Matthew started again on the Midland-Steering wheel, as there were some inaccuracies, which would’ve taken longer to fix than to start again. 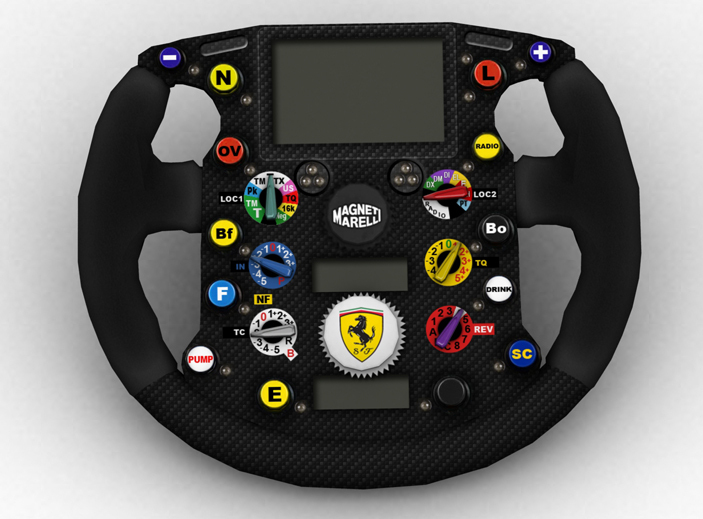 However this wheel is also nearly finished and will be mapped later. Here is a screenshot. Ok, the McLaren textures are done and they ended up just great. I’m damn proud of them. 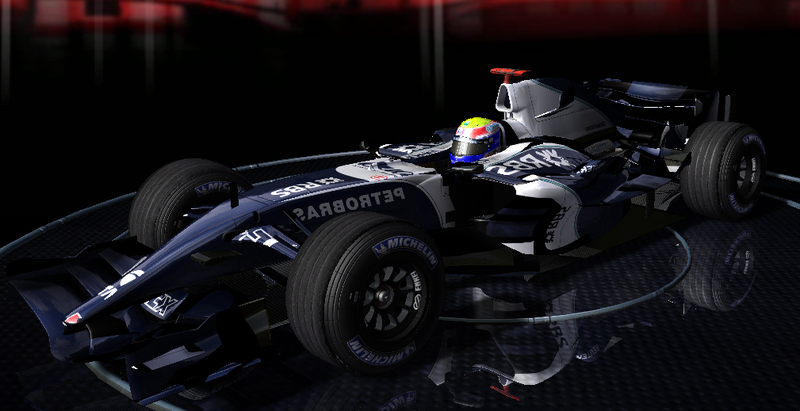 This one and Toro Rosso I think are my finest works and real icing on the big 2006-mod-cake. I hope you think the same when you see it in person. Here are the first two screenshots, they are on the homepage as well. 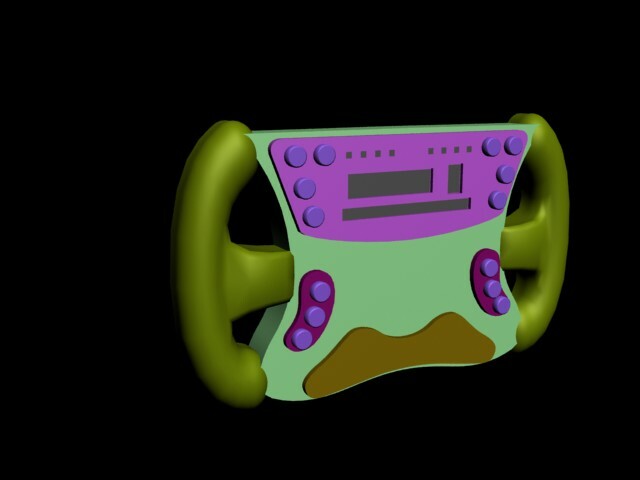 The work on steering wheels started. First we sorted out, which could be simply updated from 2005 and which had to be done new. Well most of them. Ferrari was one of the few who just got some small updates, implemented by Kizz. Nearly done is the Williams-wheel by Matthew. Last but not least, after finishing Williams Matthew started the Spyker-Wheel. Both are done from scratch as you can see. Actually we just wanted to test the modell and used a provisional texture. The final texture will be done within the next 2 days. Yesterday i started working on the mclaren. Atm i’m still assembling the car, fixing normals and doing small touch ups. I attached an early wip shot out of 3ds max. Nothing special. I just want to show you what i’m doing atm :). 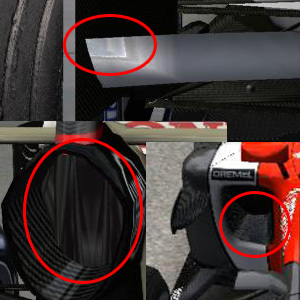 Posted on September 7, 2007 November 22, 2009 Author (CTDP)NeidryderCategories F1 2006, Models, Work in Progress5 Comments on McLaren W.I.P. 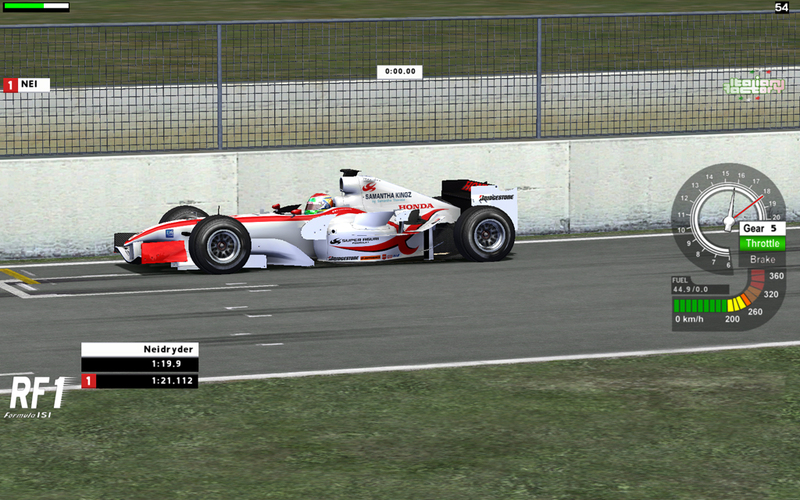 Posted on September 5, 2007 November 22, 2009 Author (CTDP)NeidryderCategories Cars, F1 2006, Screenshots, Work in Progress6 Comments on Super Aguri Ingame! We were asked here for cockpit-shots before the release, so that you can scream if there is something wrong with any of them. I hope somebody reminds me once we have all. Super Aguri is now ingame, too. 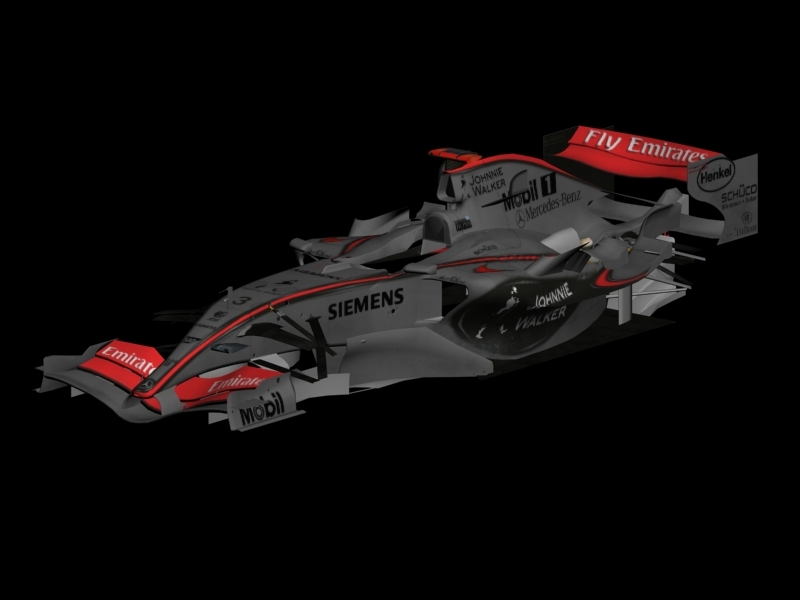 Note the textures are not yet final, Kizz will invest more time in it and will also make the other livery-versions.